Audiences will have another chance to celebrate the life of the trailblazing entertainer and activist Harry Belafonte with artists who knew him well, as the uplifting and dynamic concert “Turn the World Around: The Music and Legacy of Harry Belafonte” returns to Aaron Davis Hall on Friday, March 1, at 7:30 p.m. Presented by City College of the Arts (CCCA), the musical tribute on the icon’s 92nd birthday will feature songs from the Belafonte songbook performed by members of the Belafonte Alumni Group, a collection of artists who have performed with the star for decades. Vocalists Ty Stephens and Branice McKenzie as well as keyboardist and longtime Belafonte musical director Richard Cummings Jr. will be among the performers. 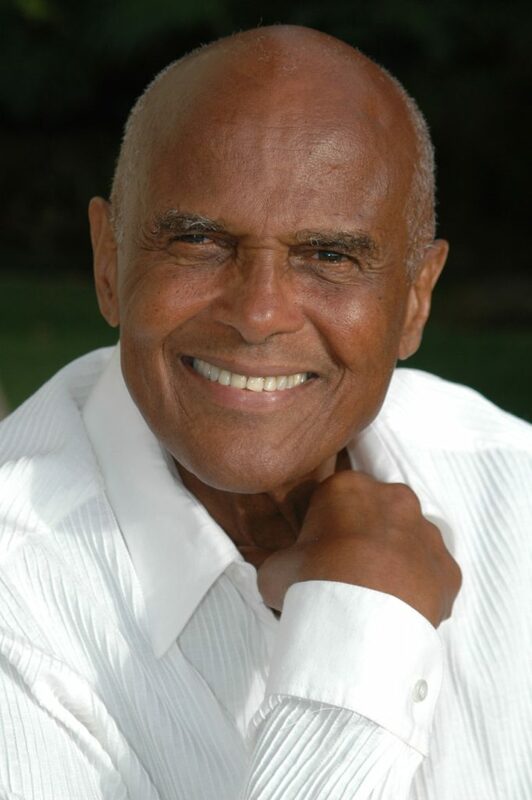 A legend who has set a trailblazing path in the entertainment industry, Belafonte first emerged on the world stage as a singer who introduced the masses to calypso music with hit songs including “Matilda,” “Day-O (The Banana Boat Song)” and “Jump in the Line.” His talent as an actor led to his starring roles in groundbreaking films such as Carmen Jones (1954), Island in the Sun (1957) and Buck and the Preacher (1972). An internationally acclaimed performer, Belafonte has perhaps inspired even more people through his work as an activist and tireless fighter for social justice. A dedicated humanitarian, he was a personal friend to and worked alongside Dr. Martin Luther King Jr. in the fight for civil rights in U.S., fought in the anti-apartheid movement in South Africa and continues to work with and inspire younger artists in the struggle to end modern-day injustices. In the “Turn the World Around” tribute concert, the Belafonte Alumni Group will present audiences with renditions of some of his best-known songs as well as messages and personal anecdotes of life with the legendary entertainer from alumni members and other notables. A reception, open to concert ticket holders, will be held following the concert. This event comes as City College Center for the Arts celebrates the 40th anniversary of Aaron Davis Hall, Harlem’s oldest performing arts center. For four decades, the world’s top artists, scholars and leaders have blessed the stages of Aaron Davis Hall, including Belafonte, Alicia Keys, Nancy Wilson, President Barack Obama and David Letterman. In addition to celebrating the birthday of the entertainer and humanitarian, the concert will also be dedicated to the memories of Harold Lee Melvin, Belafonte’s personal assistant and hair stylist, and Daa’iya El-Sanusi, treasured radio personality and Belafonte Alumni Group member. Both Melvin and El-Sanusi passed away in 2018. “We are thrilled to bring this concert back to Aaron Davis Hall. It’s a fantastic, energetic night filled with great music and memories that audiences always seem to love,” said Ty Stephens, event organizer and member of the Belafonte Alumni Group. “Turn the World Around: The Music and Legacy of Harry Belafonte” is sponsored by the Janus Property Company. Additional support is provided by Mike McSwain Architect, Lou Switzer and Gina Abandonato-Switzer, Collegium Capital Partners and Madison Square Realty Collegium. Lighting design and production management for the concert are by Steven R. Jones of the Belafonte Alumni Group. Tickets for the concert are $40 general admission and available for purchase online at www.citycollegecenterforthearts.org or by calling the box office at (212) 650-6900.Tickets can also be purchased in person before the March 1 concert at Aaron Davis Hall Tuesday through Friday from 12 noon to 6 p.m. Aaron Davis Hall is located on the campus of the City College of New York, at West 135th Street and Convent Avenue (129 Convent Avenue). Follow City College Center for the Arts on Facebook, Twitter or Instagram at @ccnyarts.